We hope you all had a Merry Christmas! But if you are like me, you have probably eaten WAY too much… but it sure was good going down. My husband found this meal and then we added our own ingredients to make it healthier. It is one of our favorites and it is super easy! Enjoy! 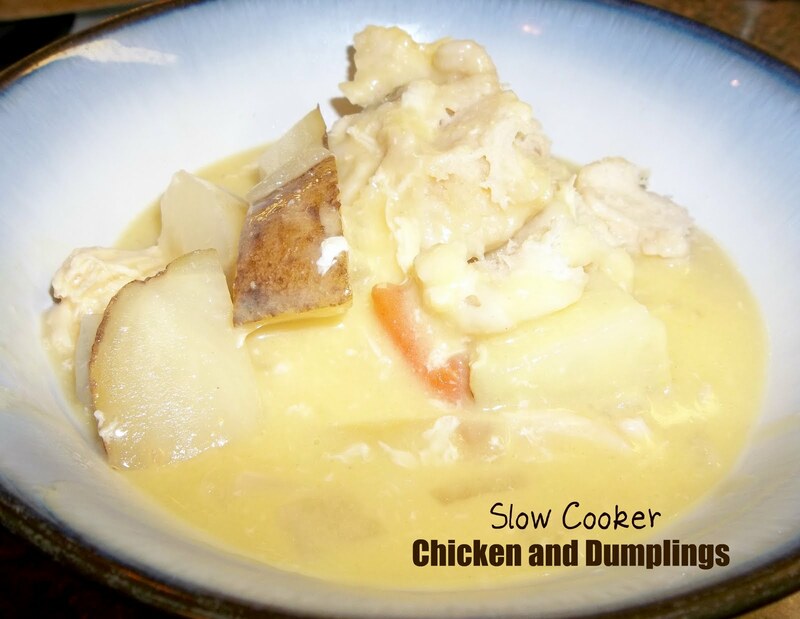 Place the chicken, soup, onion, potatoes, carrots, and apple into the slow cooker. Mix around so everything is covered by the soup mix. Then pour in your 1/2 cup of apple juice and put the lid on. Cook on High 5 to 6 hours or low 6 to 8 hours. 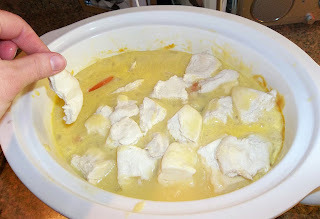 About 45 minutes before serving, turn slow cooker to High (if is isn’t already) place the torn biscuit dough in the slow cooker and put the lid back on. Cook until dough is no longer raw in the center. This looks delicious.....and we like easy. Printed it out and going to try it! Put the chicken in frozen? It works for me! Thanks! i love all of your recipes. ive made that tex mex one like 4 times. my boyfriend loves it, and says its his new fav. so thank you! Made this recipe last night and it turned out good. Super easy to make. Thanks for sharing. I made this today (I halved the recipe as there's just 2 of us) and it was really good! thank you! can you use cream of potato soup instead? I made two batches tonight. One to cook for dinner tomorrow and one in a ziplock bag in the freezer for another day. Just need to add the soup and biscuits! I'm glad to see so many liked it! I can't wait to try it. so how do these biscuits taste when cooked? do they taste like gnocchi? Just got this ready to go in the Crock Pot later this week...put everything except the biscuit dough in a ziploc bag in the fridge. It smelled yummy going together, I can't imagine how yummy it will smell and taste once it's cooked! So, how many Weight Watcher's points?!! !